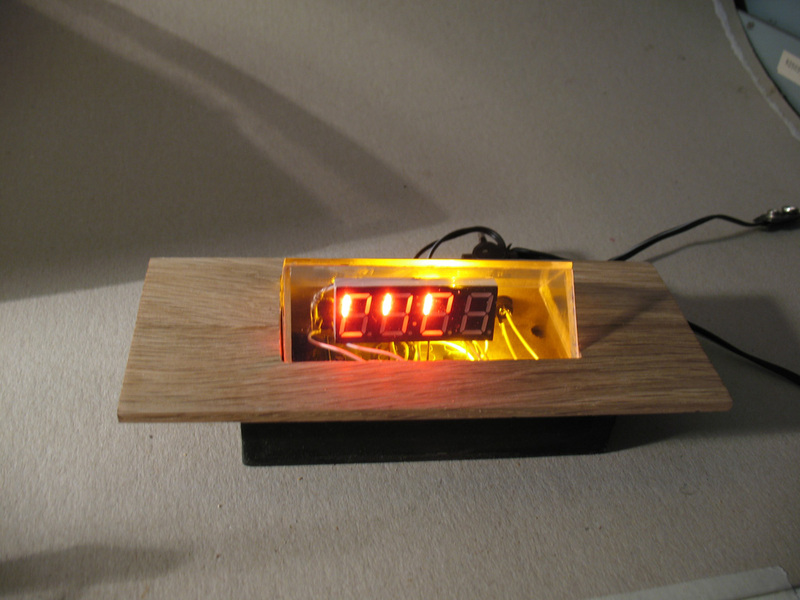 I'm always thinking about LED clocks, how to make an original one. I've made one a couple of years ago, it was inspired by the beautiful nixie clocks but using LED's instead of high voltage expensive nixie tubes. Now I'm still thinking about 7-segment displays (the numbers that make up a digital clock), how to make my own. It's hard to make your own using existing clock hardware. The route towards writing software and making your own pcb's is still a bit off-putting to me, but I might get to that some day. In the meantime tinkering with clock kits, trying to figure out how they work and especially what materials I like to combine them with. 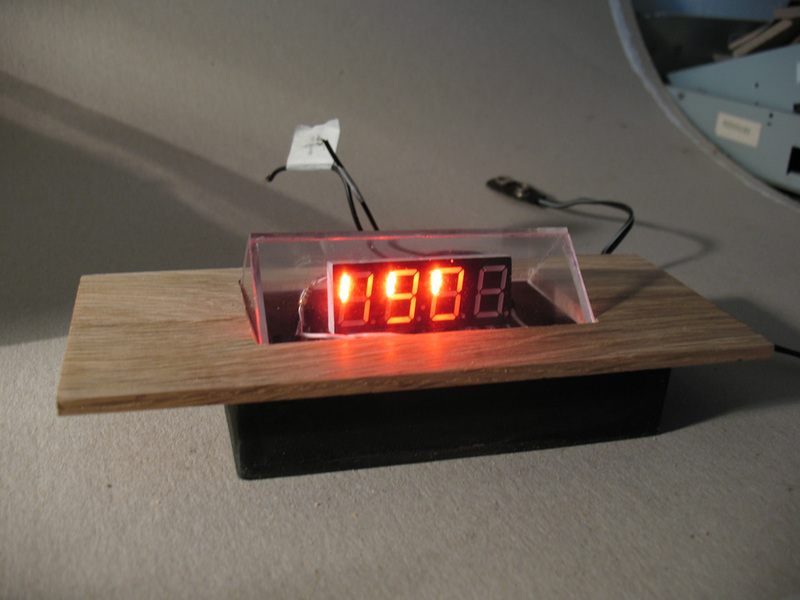 Here's an example, a test piece, of a LED clock in a clear housing on a wooden base. Added feature is bright yellow light lighting the clear housing (and the room) when the alarm goes off. It looks like something out of a James Bond movie, and that's what I like about it, it doesn't just show the time, it also has a dramatic housing around it, which, when I perfect the design will hopefully be a true unique and weird and wonderful clock.